Buckskin is the only horse with a nodding up and down jointed head! 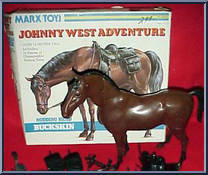 Contribute pictures, update details or suggest corrections for Buckskin (Bay). Write a review about Buckskin (Bay).